Hello all our beautiful listeners. On today's show the nerdcrew talks about choosing the right tabletop system for you and then how to play and write the big-bad villain of a LARP event/season. We hope you enjoy, share us on facebook, and tell a friend. 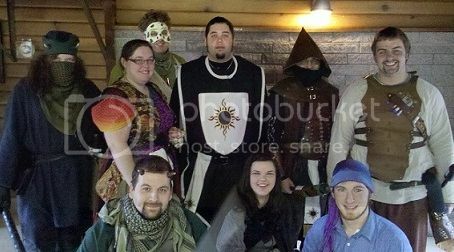 Personal Note: Go to the new LARP the World of Oz, this weekend. Seriously. 19:28 - Chloe's event calendar ever! Howdy! Nerdcast episode 34, it's here... All the nerdcaster alpha squad is back together! On this week's episode we talk about running a one-shot tabletop game then we continue our LARP 101 course and talk about how to get into the game at your first event. Song of the week: Nerd vs. Jock by MC Frontalot, off of his album, Solved! Hello friends. No Chloe today, she was called to a mountain top for some kind of combat and just couldn't make the recording session. Not to worry, we have our favorite substitute filling in. On today's episode nerdcasters Ron, Mike, Will, and special guest Barb talk about their favorite & least favorite character archetypes to play in a tabletop game. Later in the show they discuss how many rules are too many for a LARP. Special thank you to Chris B. and Kyle S. for those topics. On today's show, nerdcasters Chloe, Will, and Ron are joined by special guest host Barb (check her out on last week's Women in Gaming segment) to talk about forming and maintaining an IG organization in a LARP. Then in the second segment the group highlights the boardgame of the month: Arkham Horror. So much fun stuff! 27:58 - Chloe's event calendar ever! 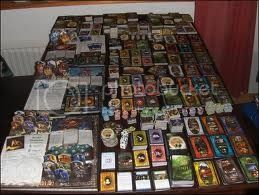 Arkham Horror with all expansions, it's a beast! We have a very special episode for you all, today! In the first segment the nerdcasters (Chloe, Ron, and Will) talk about what components are needed for EPIC ROLE-PLAYING! Then we bring on special guests/Alliance staffers Carmen and Barb to talk about women in role-playing. 22:52 - Chloe's event calendar ever! Song of the week: Critical Hit by MC Frontalot, off of his album, Solved!